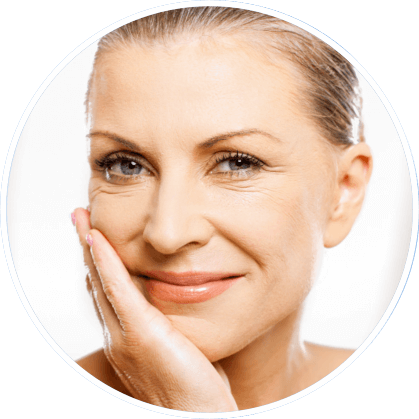 Natural Appearance" Facelift - P. Craig Hobar, M.D. Dr. Hobar is a board-certified cosmetic surgeon who is very well known for creating natural, long-lasting results with his facelift surgery. He has been in private practice since 1990 and brings a unique approach to the playing field having developed safe and effective procedures that produce long lasting and powerful results while always maintaining a totally natural look. An ideal candidate is a patient who looks in the mirror and says, “when did I begin to look different than I feel. I certainly don’t feel as old as I look”. “I was always so hesitant to get a facelift because I have seen so many unnatural results. Dr. Hobar did everything I asked for – turned back the clock yet kept me looking totally natural.” – S.B. Technically, a facelift focuses on the area on your face beginning at the lower part of your ears and extending down through your neck. This is referred to as a rhytidectomy in medical terms and commonly referred to as a lower face and neck lift. Patients frequently combine this procedure with a mid facelift and a brow lift to comprehensively address changes brought on by gravity, lifestyle and time. These three procedures, and sometimes the addition of eyelid surgery, constitute full facial rejuvenation, what many people understand a facelift to be. If you are challenged by your jaw line not being as smooth as it used to be, or your neck seeming loose, or your lower cheeks looking less firm and taut, then a facelift is the procedure for you. It is important to be in good physical health. Facelift surgery is very safe and effective when the patient is prepared and has a good understanding of the procedure. It is important to disclose all of your current and past health conditions as well as any prescribed or over the counter medications or supplements you take. Your well-being is our first priority. If loose or sagging skin in your lower cheeks, jaw line and neck are troublesome to you, then you are an excellent candidate for a facelift. WHERE IS MY FACELIFT PERFORMED? Dr. Hobar performs most of his cosmetic surgery in the accredited Dallas Day Surgery Center, which was featured in an article published in the American Society of Plastic Surgery’s prestigious journal highlighting the center’s exemplary safety record. The surgery will be performed under general anesthesia because Dr. Hobar feels strongly that this is the safest, most effective way to perform the procedure and is the most comfortable for his patients. Dr. Hobar will select an anesthesia professional that he works with frequently. His philosophy is to know them well and have such confidence in their expertise as to allow them to perform anesthesia on his own family. Keep in mind that the healing process is just that – a process. Be patient with yourself and this process. While it is imperative to be active, eat well and get plenty of rest, it is true that people heal at different paces. WHAT ABOUT THE ‘LIFESTYLE LIFT”, THE ‘WEEKEND FACELIFT”, OR THE THREAD LIFT? Think about it – aging is a global effect of gravity and stretching of all the supporting structures of the face and neck. Shortcuts don’t make sense. Dr. Hobar’s belief – do it once and do it right by addressing all the components that have been affected by aging and perform it in the most effective, most natural and longest lasting way possible. Sure, there is a little more downtime, but the benefits should last you a lifetime. Dr. Hobar has redone many of the so-called short cut facelifts that have been performed elsewhere. While we provide our patients with an opportunity to look through before and after photos of actual facelift patients during their consultation with Dr. Hobar, we urge our visitors to view our interactive photo gallery while visiting our website. If you have any questions about facelift surgery please send us your questions or call our Dallas office directly at (214) 823-8423. If all of your questions have been answered and you feel confident about taking the next step towards a successful facelift procedure you should schedule a consultation with Dr. Hobar today!